Oswald : " I have been reading James Joyce's Finnegans Wake since I was 13 years old." The distribution of "Plunderphonic" stopped as of December 1989 after Canadian Recording Industry Association & CBS Records, representing Michael Jackson took a legal action against John Oswald. 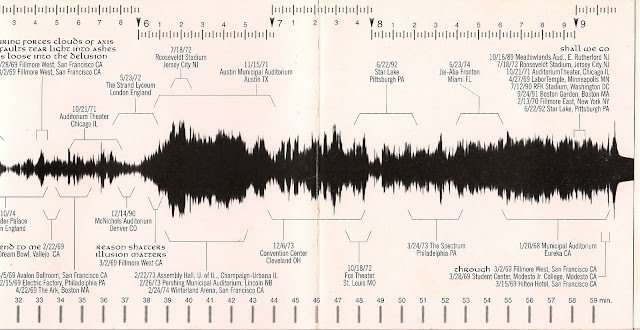 Ultimately, John Oswald wasn’t concerned about the destruction of the master, because of the disabled copy-protection flag, any of the existing CDs could be recorded digitally, and after all, it could be listened to in libraries and radio stations across the country. Distribution was then taken up by radio stations and organizations like the "Copyright violation squad" in Iowa who would dub copies free of charge if supplied with a blank cassette. What records would i take along to a desert island? If one sacrifices oneself to the process of the journalistic interview, this hypothetical quandary is likely to be presented. I've been asked this question many times. My impulsive and very honest answer is that i would first of all take the records i myself have created, plus one or two of the ones i've produced ( the list is short - Alto Sax, Plunderphonic, Elektrax, Discosphere, Plexure, Grayfolded, Gordon Monahan's This Piano Thing, a couple of Mystery Tapes and Musicworks cassette magazines which i edited [...]. My list is obviously a monument of egotism, but there is also a reasonable argument which makes this selection inevitable. My recorded releases are made entirely to fulfill my own personal listening desires. I've often stated that these recordings were made to fill the most annoying gaps in my record collection. By assuming the stance of the listener in producing these things i can at-the-best-of-times come up with something that i don't hear as my-music but rather as music-exactly-as-i-want-to-listen-to-it. Experience has indicated that these things that i like are also things that others like, which is the reason i will sometimes make more than one copy of a recording. Missing from the list are almost all of the recordings on which i play live or improvise, including those which i may have produced or edited. In fact, as much as i can rationally justify their existence, i hope that these items will land on some desert island other than the one i'm inhabiting. These recordings give me the same uneasy feeling that most people seem to have listening to tapes of their own speaking voices. The exception to this queasiness is my 1980 solo album Alto Sax which i inexplicably like very much. There's another angle to my desert island listening desires, which goes back to my pre-teen years; long before i made my first record. At that time i felt there were too many extra-musical influences on my impressionable youthful mind. Record covers revealed either attractive or goofy looking individuals in their most groovy attire; these records were categorized in stores mostly according to the race, gender and musical education of these individuals. Publications that focused on a certain age group or race were full of opinions about the quality or social importance or the timeliness of this music. I thought that the following solution would provide a more pure and satisfying listening experience: Upon being banished to the hi-fi equipped desert island that i'd been hearing about, i would begin to receive shipments of specially prepared records, sent by an individual or consortium who had a love of a broad variety of music. These records would come in blank jackets and all the information on the disc labels would be whited out. All i would have to go on is what i could hear. It would be in some cases impossible to decipher how old the music was, or what color the musicians were or what they liked to wear. I would subscribe to no music magazines. This would be my ideal desert island listening experience. Years later i got involved in Mystery Tapes which was an attempt to replicate this idea without having to be exiled, and also Pitch, which are concerts of live and recorded music taking place in absolute darkness, thereby also alleviating appearances from the musical experience. Composer, saxophonist, and sound artist John Oswald (b. May 30, 1953 in Kitchener, Ontario, Canada) is best known for his plunderphonics, which involves using samples of existing recordings to create a new work. His teachers included R. Murray Schafer and Barry Truax at Simon Fraser University and David Rosenboom, Casey Sokol, Richard Teitelbaum, and James Tenney at York University. Oswald first came to notice as an habitué in the mid-1970s of the Music Gallery, where his affiliations included Pitch (established in 1976 with Marvin Green and responsible for a variety of events held in total darkness), the Glass Orchestra, the New Music Co-op and, as founder and sometime editor, Musicworks. Oswald has performed throughout Canada and in the USA as an alto saxophonist, playing in both solo and group improvisational settings. Under Oswald's direction Pool, an improvisation collective originally established at the Gallery in 1979, was held on a weekly basis 1982-8 at the Cameron Public House. In dance, he has prepared scores (mostly tape) for Dancemakers, Tangente, Toronto Independent Dance Enterprise, and Bill Coleman's North American Experience (the full-length ballets Shane, 1987; Baryshnikov, 1987; Zorro, 1989), and for several choreographers - eg, Jennifer Mascall (Parade, 1986; Elle, 1989), Paula Ravitz and Denise Fujiwara (Skindling Shades,1987; renamed Spontaneous Combustion) and Fujiwara alone (Loud Colors, 1990), Holly Small (Wounded, 1988, Small Attack, 1990), Bill Douglas (Anima, 1990), and James Kudelka (Case of Death, 1991). He has participated as an accompanist and/or dancer in performances by Fujiwara, Small, Danceworks, the North American Experience, and others. In 1980 Oswald established the Mystery Tapes Laboratory, preparing and distributing music/sound collages on cassettes packaged with neither sources noted nor explanations given. 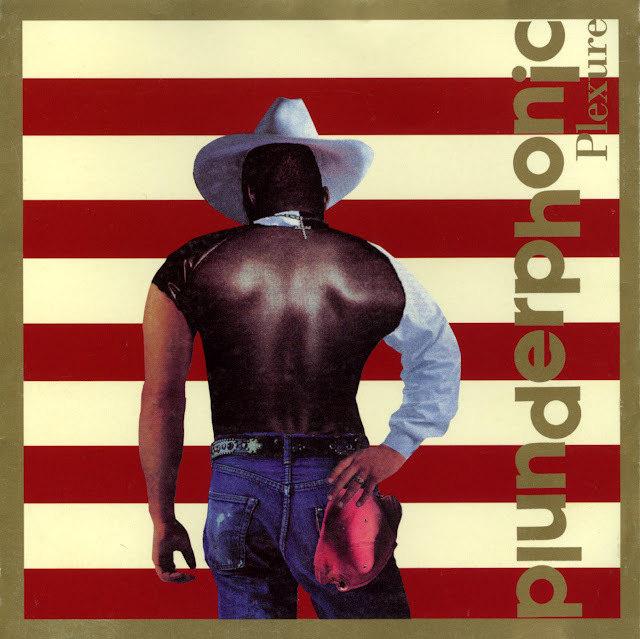 In 1987 he reversed the principle with the EP Plunderphonics, which comprised four 'revised performances' created by the 'plundering' of recordings by Count Basie, Dolly Parton, and Elvis Presley, and of The Rite of Spring. 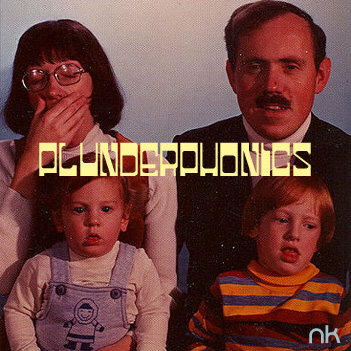 A CD of Plunderphonics followed in 1989, with an additional 20 plundered performances. Although Oswald's sources were scrupulously acknowedged and the recordings given free of charge to musicians, critics, libraries, etc, the CD nevertheless was deemed to be in violation of Canadian copyright laws. 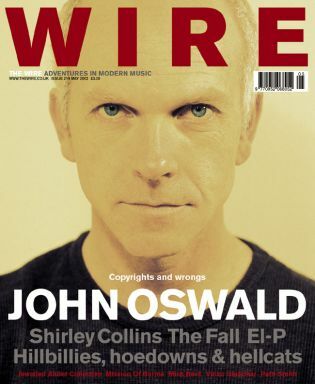 Under the threat of legal action Oswald relinquished the master tapes and all undistributed copies to CRIA which in 1990 had them destroyed, a year before Negativland got sued for their U2 EP. 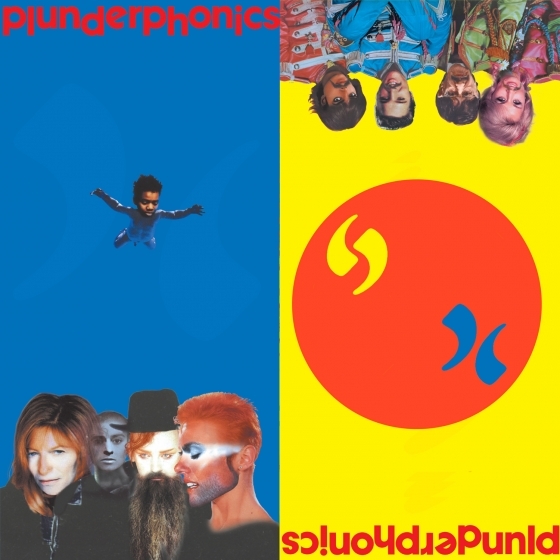 Ironically, Oswald was subsequently commissioned by the US label Elektra to plunder its catalogue and prepared the CD Rubáiyát Plunderphonics (issued in 1991) to mark the company's 40th anniversary. Oswald has received other commissions from Arraymusic (Slide Whistles, 1976; Acupuncture, 1991) and the Kronos Quartet, and has prepared scores for the Recto Verso theatre company of Matane, Québec. His first piece for the Kronos, Spectre (1990), is in the composer's words 'for gesturing string quartet and the recorded allusion of a 1001 string orchestra'.